How to edit RAW files? You have a bunch of high quality image files in the raw format produced by your digital camera and need to process them. 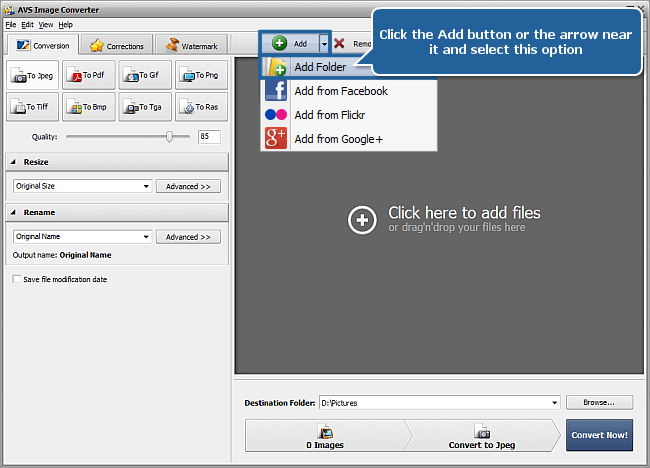 Then AVS Image Converter is just what you need. 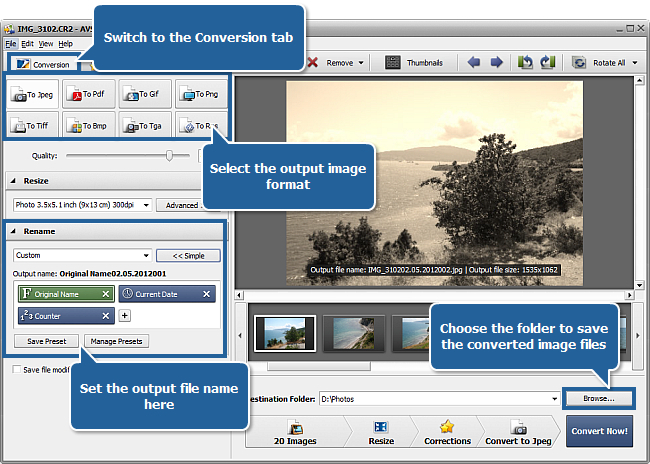 Using this program you can edit your images applying some effects and resizing them to be able to view and print them later. If you need to fit your images to a particular size select the Custom option from the drop-down list. 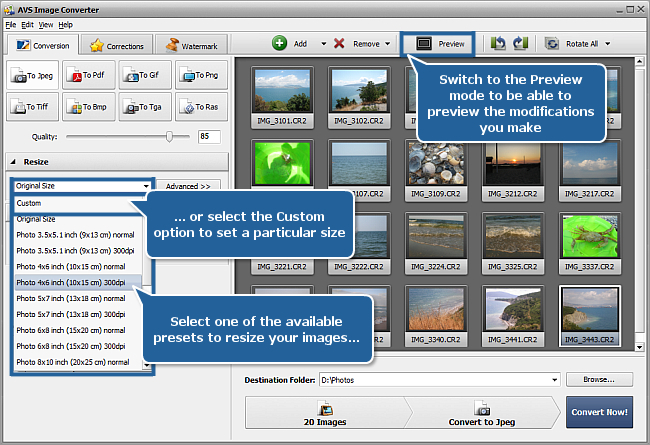 The Additonal Resize Options panel will open. Set the necessary Height and Width values using the keyboard. To learn more about the additional resize options please visit our Online Help section. 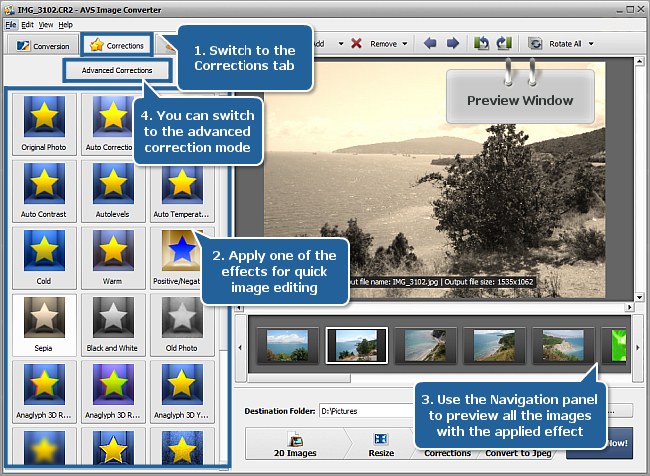 After resizing your pictures you can make some auto-correction adjustments or apply some effects. To apply an effect switch to the Corrections tab. 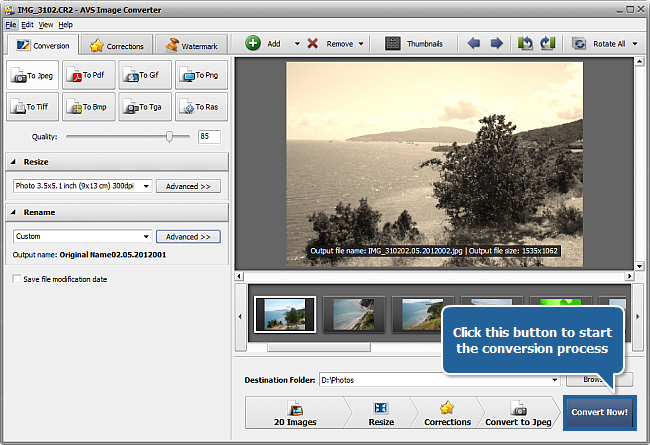 The basic correction mode will be available. It allows you to apply one of the effects for quick image editing. To apply the desired effect click its icon in the Working Area on the left. The selected effect will be applied to all the images loaded into the program. Preview the result in the Preview window using the Navigation Panel. To discard changes select the Original Photo effect. To apply automatic adjustments, press the Auto Brightness, Auto Contrast or Auto Temperature button. 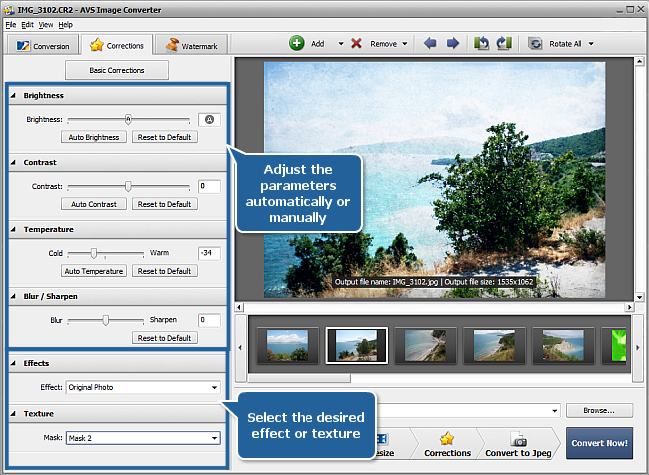 Use the corresponding sliders to correct the necessary parameter manually. To cancel the correction applied to a certain parameter click the appropriate Reset to Default button. To learn more about each effect please refer to our Online Help section. 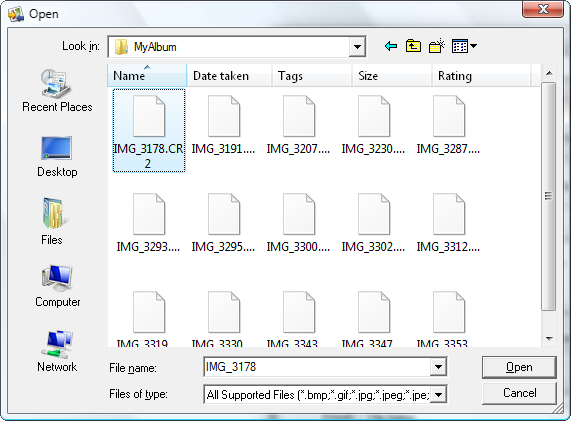 When the conversion is over you can open the folder with your edited images. If you want to protect your photos or add some comments to them you can do it applying some text or image watermark. Click here to learn on how to do that.